With “Taxi to the Dark Side,” “Going Clear” and scads of other impressive titles to his credit, Alex Gibney has established himself as an incredibly prolific and gifted documentary-maker who is also extraordinarily courageous: he goes where other filmmakers dare not go. But his latest, “Zero Days,” almost belongs in a category by itself. Easily the most important film anyone has released this year, it is a documentary that deserves to be seen by every sentient citizen of this country—and indeed the world. Gibney started out to make a film about the Stuxnet computer virus, which reportedly was used in a destructive attack on Iran’s nuclear program by the security agencies of the U.S. and Israel, even though no official in either country will acknowledge that such a thing ever existed. But the filmmaker ended up being propelled into two much larger stories, which are intertwined and till now have had very little purchase on public consciousness. The first is the existence and mounting peril of cyber warfare. As “Zero Days” shows, this form of cryptic aggression is already highly developed, in the possession of numerous governments as well as non-state actors, and currently employed in various surreptitious ways around the world. Yet it’s a weapon whose destructive potential has only been glimpsed till now. In a cyber world war, millions could be killed in very short order as national infrastructures are decimated and havoc wreaked technologically. It’s enough to make old-fashioned nuclear war seem benign in comparison. The film’s second great subject is the secrecy that surrounds the first and prevents citizens and their governments from discussing it, much less doing anything about it. Gibney doesn’t explore how much this is a result of post-9/11 paranoia and security measures, and how much simply a product of a decades-long growth in government secrecy, which climaxed with the Obama administration’s unprecedented war on whistle-blowers. But the film shows that even some of the nation’s highest-ranking secret keepers now think the policies have been taken too far, and indeed increase rather than reduce the dangers posed by cyber warfare. 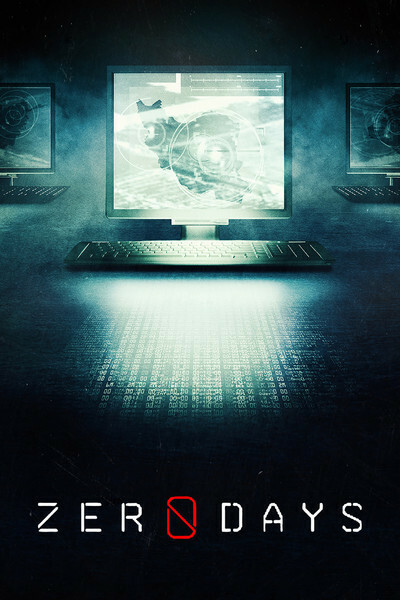 While together these subjects and Gibney’s storytelling skills make “Zero Days” play like a riveting espionage thriller crossed with a uniquely chilling sci-fi horror yarn, the film remains in the realm of fact throughout. Gibney starts out recalling the assassination of Iranian nuclear scientists in 2010, and then the discovery of Stuxnet, in Belarus. Though the virus was identified as coming from Iran, by that time it had spread all over the world. The danger may have been technological, but its appearance in the world was, of course, political. Following the invasion of Iraq, George W. Bush faced an Israel that was threatening to bomb Iran, which it claimed was developing nuclear weapons with the express aim of destroying the Jewish state. Frustrated, Bush told aides he didn’t want to see himself or any of his successors put in the position of having only two choices: a nuclear Iran, or Israel starting a war that the U.S. would surely be drawn into. Offered a third way, he okayed the development of a cyber warfare campaign against Iran that linked the NSA, the CIA and the Defense Department with Israel and its Mossad. Naturally, no American or Israeli scientists who worked on developing Stuxnet—a program that in the government was called Olympic Games—speak for Gibney’s cameras, but the malware’s composition and operation are lucidly described by virus experts and illustrated by Sarah Dowland’s smart graphics. The most destructive code ever developed, the virus, when introduced by human agents into Iran’s nuclear facility in Natanz, caused centrifuges to spin too fast or too slow, and violently self-destruct. Though the weapon had the desired effect on many of Natanz’s centrifuges, the offensive could hardly be counted a success from the outset. The Israelis jumped the gun on implementing it—when Obama, who was now president, and Joe Biden learned of this, the vice president reportedly flew into a rage—and did so in a way that made it leap-frog all over the world. Thus Obama got the two things that he expressly didn’t want: the virus escaping Iran, and the U.S. identified as its source. As significant as these ground-breaking attacks and counter-attacks were, they only indicated a tiny portion of what was possible even then. As “Zero Days” reveals, the U.S. has a program called Nitro Zeus that makes Olympic Games look like a sandbox game. Aimed to “disrupt, degrade and destroy” Iran’s infrastructure, the program would mean “a full scale cyber war,” in the words of one expert, a war in which the U.S. would be subject to the same sort of attacks. Releasing Stuxnet was, as has been observed, opening a Pandora’s Box, and now its effects have spread across the globe. The Russians were big on this kind of warfare from early on, and most states are now assumed to be building their own cyber arsenals. But how do we get a handle on what is really going on? “This is really beginning to piss me off,” says Gibney after about the fifteenth official, former official or expert puts on a bland smile and says he can’t doesn’t know a thing about Stuxnet and couldn’t say anything if he did. This whole “wall of secrecy” policy—which renders the whole subject “hideously over-classified,” in the words of one high-ranking former official—leaves the public, the press and Congress unable to engage in the debate that this perilous technology demands. The point is made that, although they took a long time, treaties were eventually produced that contained the threats of biological, chemical and nuclear weapons. But you can’t even get a start on such instruments for cyber weaponry unless you can acknowledge and discuss them. In a way, Gibney has given us a “Dr. Strangelove” for the generation of warfare beyond the nuclear era. My suggestion is that, after the upcoming political conventions are finished, the film be shown on national TV and the candidates devote their first debate to its implications. That would be a start.